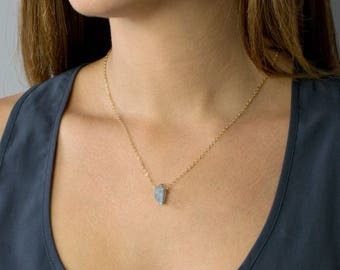 Dainty Stone Necklaces for Women are simple, minimal, perfect for layering and everyday wear. 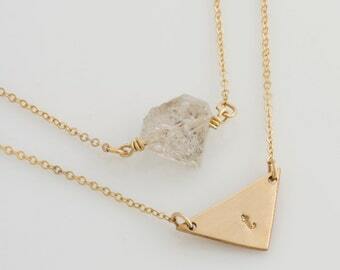 The minimal, rough cut stone is hung on a 14K Gold Fill or Sterling Silver chain. 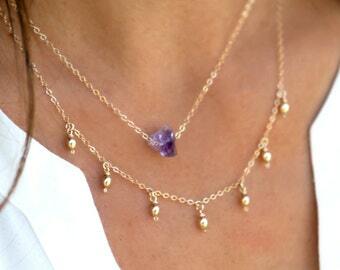 A beautiful and classic Perfect Gift for Her, birthday gift, bridesmaid gift or christmas gift. - rough cut stone measures approx. 3/8 in. X 2/8 in. - comes in a LEILA jewelry box with care tips..... If you need extra boxes for gifting....just let us know! 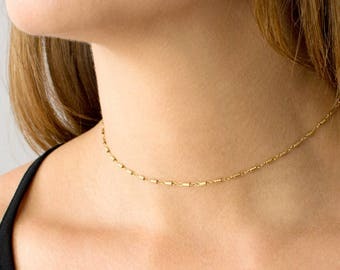 • if you are unsure of length, place a string around your neck and hold both ends by your chest where you want the necklace to sit, then measure the length of the string. 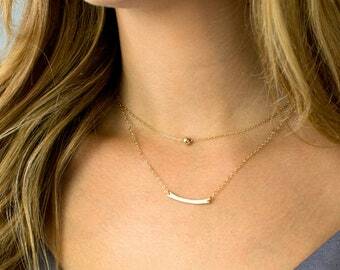 • choker chain length of 13" - 15" comes with 1" extender that it is attached to the end of your necklace and makes it adjustable in size. 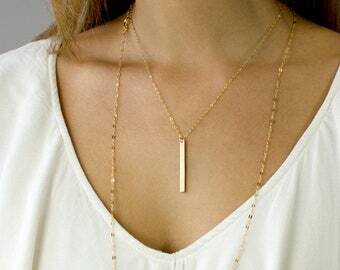 So a 1" extender on a 13" necklace would have length options of 13-14" and anywhere in between. • comes packaged in a charming LEILA gift box with care instructions. • orders with multiple pieces will be shipped in ONE BOX (possibly 2). • If you are ORDERING GIFTS and need a box for each piece, please request this in the Notes section at Checkout. 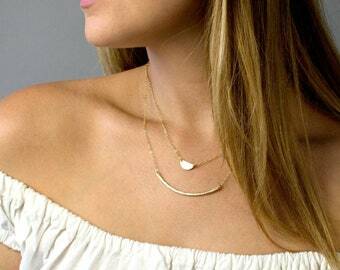 Gold fill is a pressure bonded layer of gold that has 100 times more gold than plated jewelry. It is durable, won't chip or flake, is tarnish resistant, and a great alternative to "solid" gold jewelry that is reasonably priced. Looks great and should last for many years! Follow us on Instagram and Facebook (@LEILAjewelry) to get the latest deals, enter FREE GIVEAWAYS, or just to see some behind the scenes pics of my family and LEILA. My granddaughter is going to love this necklace. I will be back to purchase more. We accept payments from Paypal, major credit cards, & Etsy Gift Cards. All transactions are secure and handled by Etsy. We do not see or collect any billing information from you. Sales tax will be included for buyers in CA. Any changes to orders or cancellations must be made within 12 hours. If you requested a rushed delivery and production on the item has been started, the order cannot be cancelled. Cancellations accepted after our normal cancellation period will be subject to a $5 processing fee. No exceptions. - Please contact us within 7 days of receiving your package to arrange for a return on unworn jewelry. - Personalized items are FINAL SALE and non-returnable. If we made an error, we will of course re-make and ship out a new piece. - All items are "made to order" so there is a 15% of purchase price fee for returns and buyer is responsible for return shipping costs. -If an incorrect length was ordered, you can send it back to us to have the length re-worked. We do charge a re-work fee of $5 and you are responsible for shipping to and from our studio. Please contact us beforehand for instructions to send the item back. We will exchange any non-personalized and unworn items if it’s within 14 days of the time you received your order. You are responsible for shipping charges to/from our studio and there may be a re-work fee. We want you to be happy and to love wearing your LEILA piece, message us on ETSY to request an exchange if needed. Orders are filled first in first out, so if you have an order that needs expedited, please select the EXPRESS Shipping option at checkout. Your order will be pushed to the front of the line. Once a shipping label is generated, you will receive a shipping notification email that your order has shipped along with a tracking number. You can also find the tracking number in the "purchases" section of your ETSY account. Please check your spam/junk folder as sometimes the emails go there : ). -International orders are shipped by USPS International First Class Mail. Most packages will be delivered in 10-14 days, but if delayed by your countries customs, can take up to 60 days (rare but can happen) . -Once your package leaves the Unites States, there will not be updates to tracking until it is delivered. It may appear to be stuck in the U.S., but it is actually in transit to your country. If there are delays in delivery, we recommend you call your local customs office to inquire and speed up the process. You may be subject to import duties and taxes once a shipment reaches your country. Additional customs clearance charges must be paid by you. These charges are separate from the shipping charges you pay during order checkout and vary from country to country. We have no control over these charges and cannot predict what they may be. LEILA accepts no risk of package loss due to international shipment. All risk passes to you upon our delivery to the carrier. Where do I leave my personalization details? We usually ship orders in 2-4 business days. For the most current production time, please go to our shop announcement or policies page. During busy shopping periods the production time may increase and we will update the turnaround time on those pages. 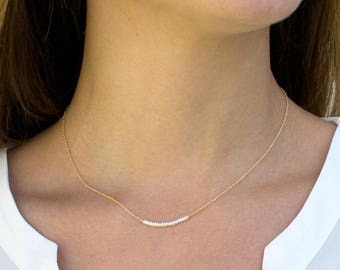 What chain length should I get? 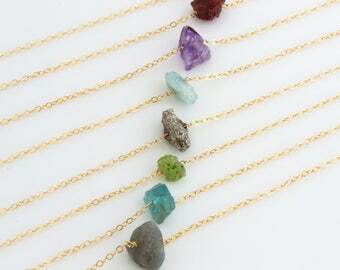 For the most accurate length we recommend to measure around your neck or wrist at the spot you want the necklace/bracelet to sit. Wrap a string or cord around your neck/wrist, then measure it. 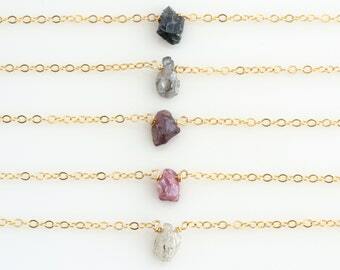 For bracelets add a 1/4" or 1/2" depending on a normal or looser fit. Can I personalize both sides? Does sterling silver tarnish and can the tarnish be removed? Yes, sterling silver by nature will tarnish due to sulfur compounds found in many things. Perfumes, lotions, cosmetics, household cleaners, pools, and jacuzzis and sometimes just certain peoples skin oils or perspiration can cause tarnish. Orders come with a polishing pad that will remove tarnish and bring it back to a shine. Just rub over the piece gently with that pad to remove the tarnish. Once the tarnish is removed or after wearing in general, its good to wash the bar every now and then with warm water and a mild dish soap. Just hand rub gently and make sure to completely dry it. Does it come in a gift box and can you include a note with the order? All orders come in a LEILA jewelry box. We will combine multiple pieces in one box unless you've requested individual boxes for gifting. If you are shipping a gift directly to someone, we can hand write a short note on the packing slip for you. Please just keep it short, no novels : ).